World hunger is real and likely affects your community, often in ways you can’t see. Even some people living in the wealthiest cities and suburbs don’t have enough nutritious food to eat and can’t rely on when or what their next meal will be. The American Peanut Council created Peanut Butter for the Hungry (PB4H) as our way to help. The staff donates their time to the program at no cost. Over 90% of the administrative costs are paid for by the industry so that we can deliver food to help solve our world hunger crisis. Peanut butter is a nutritious, versatile and economical source of food, whether for a great sandwich or some other meal. We work with growers, shellers manufacturers, and other partners to create peanut butter especially for use in food pantries throughout the U.S.
We also work with global partners to distribute peanut-based ready-to-use therapeutic foods, also known as RUTFs. These energy dense, specially formulated foods are designed to combat severe acute malnutrition; most cases are cured within just six weeks’ time. 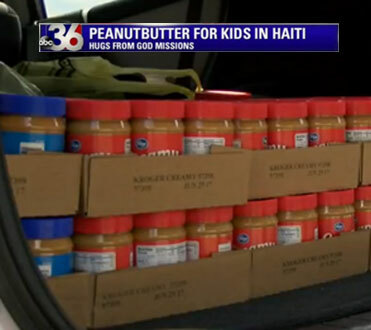 The videos below show how PB4H and our partners are fighting world hunger. We’ve also compiled reports from the United Nations, World Health Organization, and other agencies detailing the severity of hunger and malnutrition and the effectiveness of peanut butter and RUTFs in mitigating this crisis.